Komiza is an old fishing village situated on the west side of Vis island in Croatia inside deep Komiza bay, open to west winds. There is a newer road of about 10 km that connects Komiza to Vis town. After the fall of Austro-Hungarian empire in 1918 rich fishing areas around Palagruza went to Italy, which was the reason of the massive emigration to California where people stayed in the fishing business. An interesting fact is there are more Komiza native people and their descendants in San Pedro in California (about ten fold) than in Komiža itself. Make sure to visit the fishing museum Utvrda on the main boardwalk. It is truly a time machine for fisheries and a tribute that that hard and commendable line of work. After World War II, Vis island was turned into a military zone. Some say this continued the island’s „decline“. Silver lining is that the „reopening“ of the island in 1991 started without the massive building and hotels. 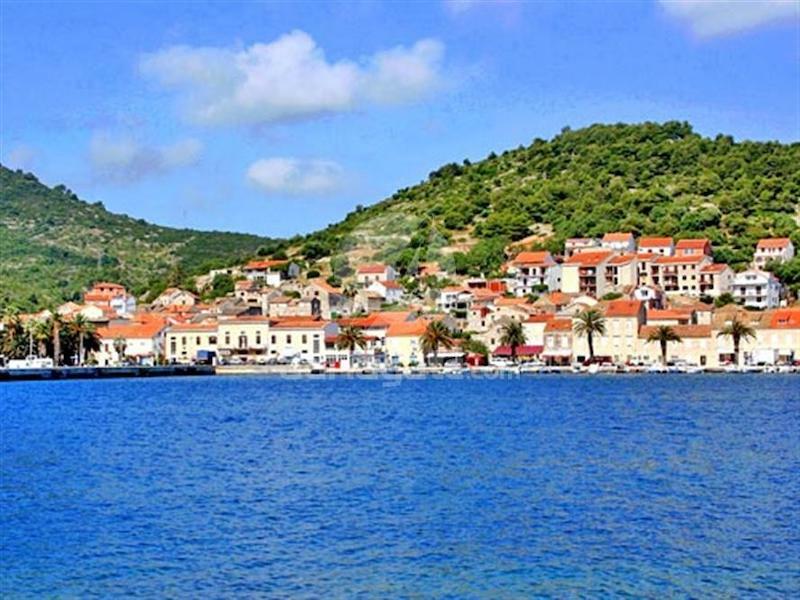 Komiza is always nice to visit, walk through its narrow streets, have coffee at the square among the locals – traditional cake bought in the family pastry shop „Cukar“ (for instance one made of corab) will go great with that coffee. 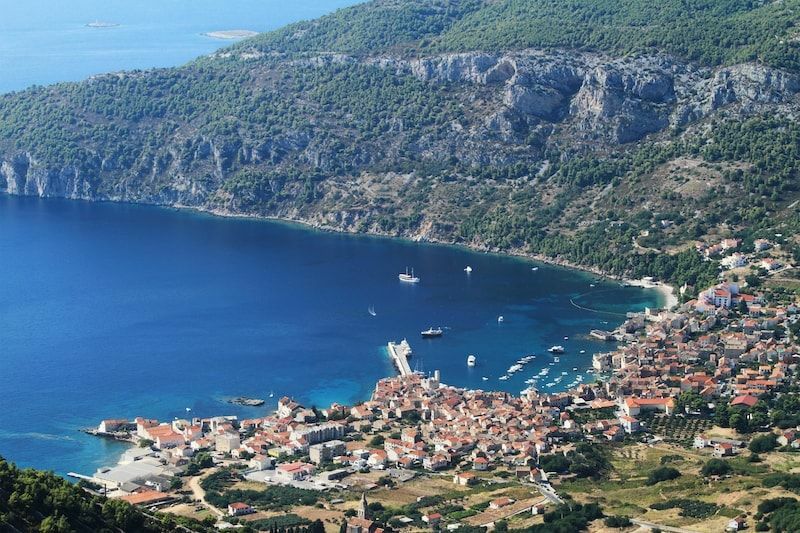 Vis has 15 beaches, each of which is equally beautiful and equally special. Whether you want to relax and enjoy yourself in peace, or are looking for a beach for a full day trip with your family and a place to eat, we suggest that you give each beach a chance! 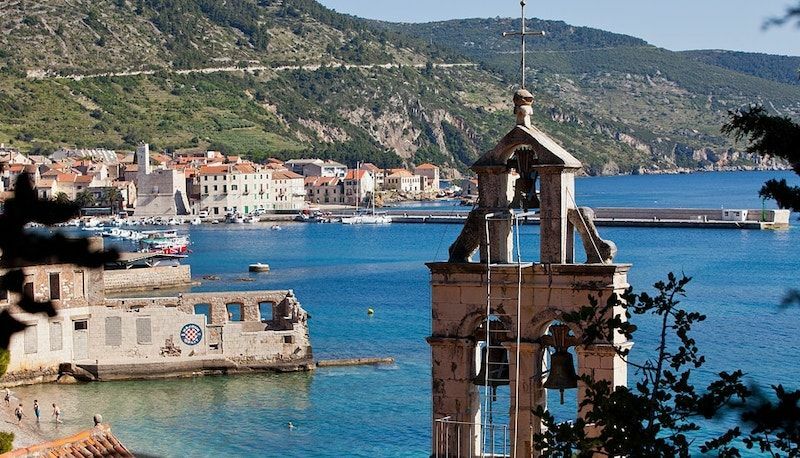 What to do in KOMIZA? 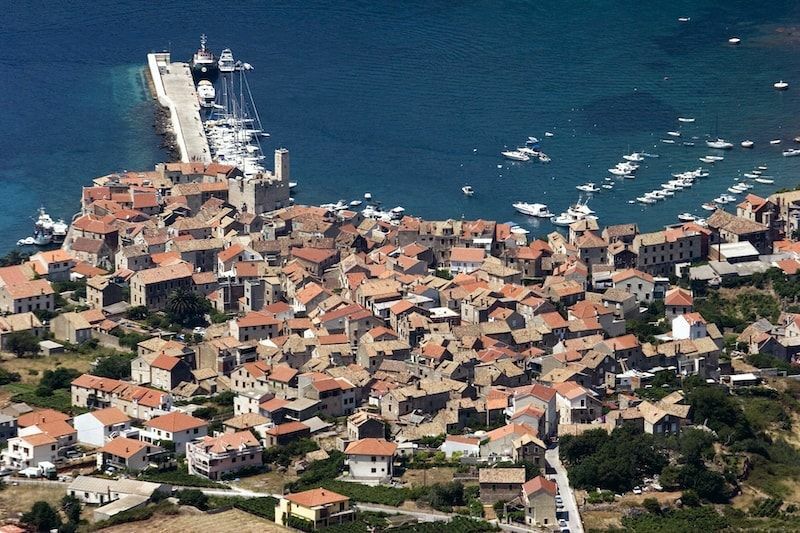 Where to ear in KOMIZA? Mediterranean cuisine is proved to be one of the healthiest diets in the world, and on Vis, we perfected its specialties and gastronomic hedonism enjoyed with all the senses. On the Riva in Komiža there are numerous bars and restaurants where you can refresh yourself and taste homemade culinary specialties. Rural households are an inevitable part of the gastronomic offer in which even the pickiest gourmets will enjoy themselves. From traditional Komiža’s johnnycake to fresh fish and vegetables, a wide range of gastronomical offer and quality restaurants will delight you. Leave some room for dessert! 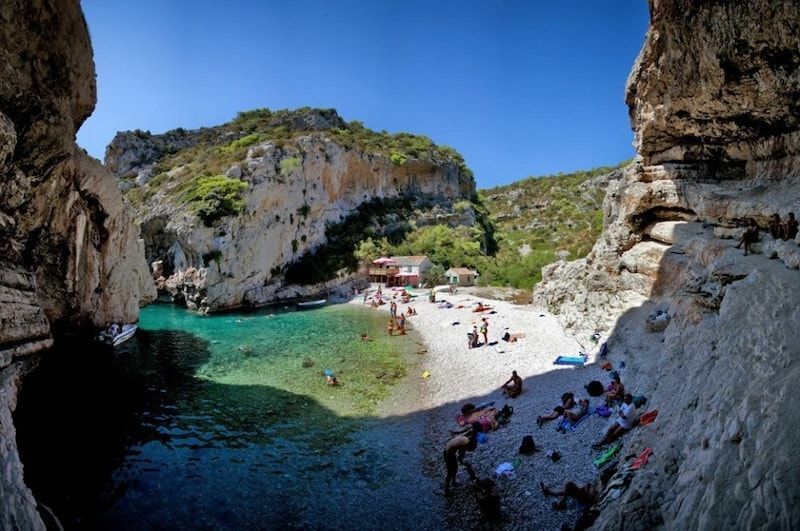 If you are still deciding where to jet off to this summer, you could do a lot worse than Stiniva in Croatia, because it has been voted the best beach in Europe. And with its crystal clear waters, white sands and a stunning clifftop backdrop it is clear to see why the seaside paradise topped the chart. Much of its charm stems from just how secluded and peaceful it is. 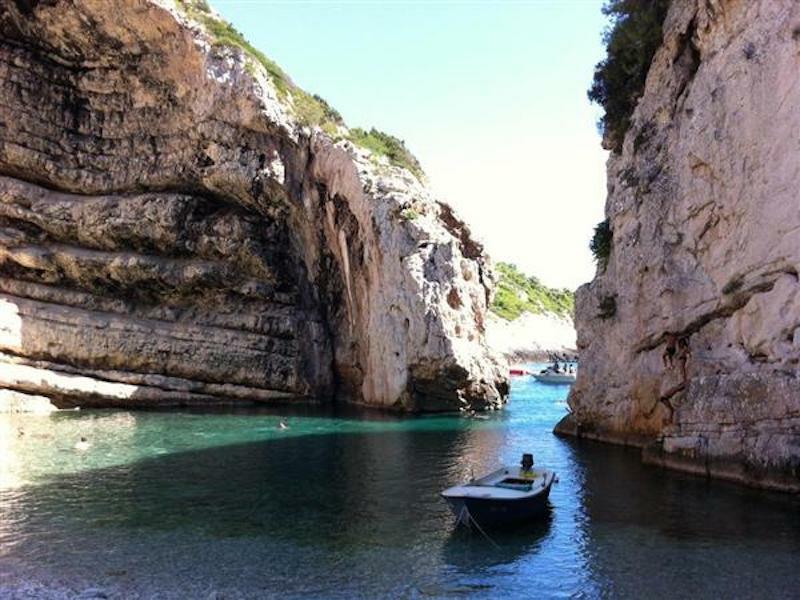 It’s accessible only by hiking along a steep and narrow path, or by taking a taxi boat from the nearby Rukavac cove. 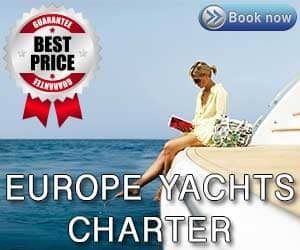 Those who make the effort will be rewarded with an exquisite patch of coastline with a sea entrance of less than 16 feet.